Work at height comes in various forms, sometimes workers will have to be elevated above a machine in a factory, or stand on a sloping roof of a residential construction site, or on the roof of a building for inspection and maintenance. No matter the situation, working at an elevation always opens up workers to the risk of a fall. This is why the use of fall protection should be taken very serious. Employers and building owners are responsible for those who have to work at height on their jobsite or property. So they must provide fall protection measures if people have to work at an elevation where a fall risk is present. But employees also have a responsibility to use the fall protection equipment and to behave accordingly, so no accidents will happen. Ideally the choice will be made to collectively protect those working at height. This brings with it the least risks of a fall, as the areas where a fall may occur are guarded off, for example with temporary guardrails. There are situations where this isn’t possible and where the choice will have to be made for a personal fall protection system. A risk analysis will help in choosing the right fall protection equipment for your project. The risk analysis also forms the basis for a fall protection plan, a safety plan in which all measures to keep workers safe are described. One very important measure to combat fall hazards is training. After all, knowledge about the hazards and on how to keep oneself safe is the first step in combatting dangerous situations. For those who come into contact with working at height for the first time this issue may seem overwhelming. After all there are so many aspects to working at height and a variety of fall protection systems to choose from. To make things a little easier we’ve put together the whitepaper “Fall Protection for Beginners”. In this whitepaper we cover some of the basics of fall protection, from rules and regulations and the measures that need to be taken before starting any work at height, to information about fall protection systems. Jump into the world of fall protection and make your worksite a safer place. 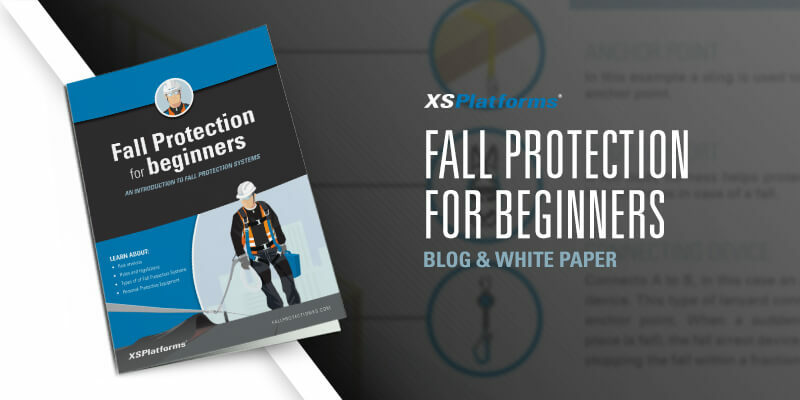 Download the whitepaper “Fall Protection for Beginners” here.